Samsung Galaxy S8, Dual SIM, 64GB, 4GB RAM, 4G LTE, Midnight Black. Looks like Samsung is determined to turn things around after the big Samsung Galaxy Note 7 blunder and it’s clearly visible with the announcement of the Samsung Galaxy S8 and S8+. We won’t be doing justice to this upcoming phone if we call it just another annual update as it’s a completely redesigned phoned with not many similarities compared to its predecessors. 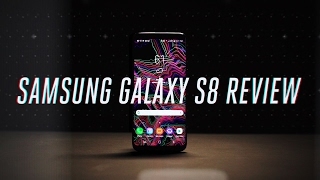 There are lots of new features in this new phone to look forward to so keep reading to find out more about those features including the Samsung Galaxy S8 Qatar price. 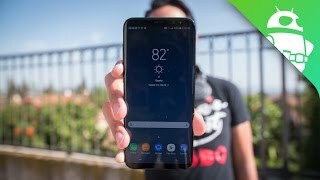 It won’t be wrong to call the Samsung Galaxy S8 the best looking phone available after the Samsung Galaxy S8 release date Qatar. Don’t worry if you are not into big phones as the Galaxy S8 is still smaller than the Galaxy S7 Edge but features a bigger 5.8-inch screen showing 2960 x 1440 pixels resolution and 570ppi of pixel density. There is no plain version to look for this time and the infinity display will definitely blow you away when you look at it for the first time. The end to end screen covers most of the phone with uninterrupted glass and it’s also quite comfortable to hold. There is no visible home button this time as mentioned in the rumors earlier but it’s actually there with other navigation keys and can be used just like you used to. 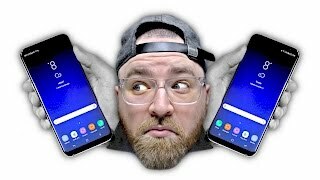 The previous upgrades in the Galaxy S series didn’t really manage to surprise us but this time it looks like a completely new phone from Samsung. Moreover, users will get the same IP68-rated water and dust resistance which is surprising considering it’s an infinity display. Samsung mostly focused on how the camera is able to capture better, bright and clear pictures even in low-lit conditions when presenting the phone. We loved the cameras in the Samsung Galaxy S7 and S7 Edge but it just got better as now the 12-megapixel rear camera comes with bright F1.7 lens and Dual Pixel Sensor. There is a Pro mode designed for users who would love to play with settings like ISO, Color Tone, Shutter speed, Manual focus, Exposure and WB. Users will be able to take multiple shots almost at the same time and then combine only the good parts from those photos. The front camera which is an 8-megapixel one now comes with Smart Auto Focus and enhanced multi-frame image processing. It will be interesting to see how it competes with the likes of iPhone 7 Plus and Google Pixel XL after the Samsung Galaxy S8 release date Qatar. This is where things are still almost similar, an expensive price tag. The Samsung Galaxy S8 Qatar price will be around 260000 QAR or slightly more right after its release. 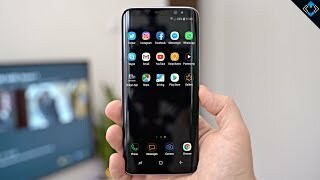 Users will be able to find this phone in five different colors after the Samsung Galaxy S8 release date Qatar: Midnight Black, Arctic Silver, Orchid Gray, Maple Gold and Coral Blue. It’s definitely worth checking out if you are in the market for something completely new. It will be available in the market soon sometimes after April 21st. Looks like it’s getting more and more difficult for smartphone manufacturers to keep things a secret. Before the release of iPhone 7, most of us already knew that it won’t include a headphone jack and now we have learned some new details about the upcoming Samsung Galaxy S8. 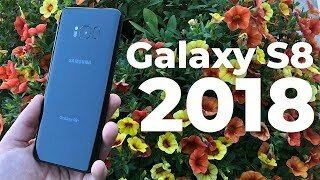 It will be definitely one of the biggest smartphone of 2017 so let’s see what we can expect from the upcoming phone. However, let’s take a look at the Samsung Galaxy S8 Qatar price first. It’s too early to guess the price but it will be definitely around 1800 to 2200 QAR. Now let’s see if it will be a good idea to wait for the Samsung Galaxy S8 release date Qatar or not. Nothing has been officially announced about the next Exynos processor or the Snapdragon 830. It’s possible that the upcoming phone might pack just an upgrade of the Sanpdragon 820 which is 821. These are just all rumors at this point but there will be an increase in performance and it’s expected to be about 30% more. There were rumors about the Galaxy S7 to include the waited USB-C port but that was not the case. 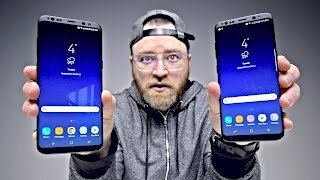 This year the same is expected with the Samsung Galaxy S8. If performance is not something you are worried about than there is already the Samsung Galaxy S7 and S7 Edge ou can check out without waiting for the Samsung Galaxy S8 release date Qatar. 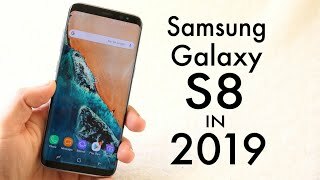 The galaxy s8 Mobile Phone is manufactured by Samsung and was added around November 2016 and is part of the Samsung Galaxy S8 series. This version of the Mobile Phone comes in Color : Black , Capacity : 64 GB , Band : LTE , Display Size : 5.8 Inch , Sim Cards Slots : Single Sim , Special Features : Touch Screen , Special Features : External Memory Card , Special Features : NFC , Device RAM : 4 GB. The model comes in 18 other variations including combination of LTE Band , 64 GB Capacity , Black, Grey, Gold, Blue, Silver Color , 4 GB Device RAM , 5.8 Inch, 2.5 Inch Display Size , Dual Sim, Single Sim Cards Slots , Touch Screen, External Memory Card, NFC Special Features. Price has decreased 67% from QAR 3266 on 2017-03-26 to QAR 1092 today.